If you’re looking to rent a heavy piece of Caterpillar equipment then look no further than MasterRents. 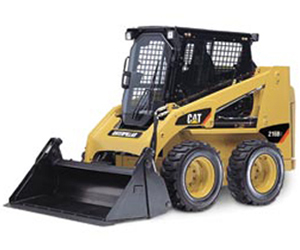 MasterRents is part of the Cat Rental Alliance Program which opens the door to the full line of CAT rental equipment. MasterRents is a locally owned rental house offering all types of heavy equipment for rent by the day, week or month. MasterRents has over 100 pieces of equipment and we offer delivery at reasonable prices. We are located just 20 minutes north of Boston, in Danvers, Massachusetts and are your local CAT rental store in Massachusetts. MasterRents Caterpillar rental fleet consists of excavators, backhoes, skid steers, mini excavators, telehandlers, wheel loaders, generators, and any of the other CAT rental products you may need. For each type of heavy equipment we have we are able to provide you the customer any size machine you request, if you’re not sure on the size we will help you figure that out as well. We also want to make the renting process as easy as possible so we have a full time salesman to provide quick and reliable customer service. MasterRents has been helping everyone from site contractors to landscapers and even homeowners save time and money by offering up the most versatile and dependable Caterpillar rental equipment in Massachusetts as well as New England. MasterRents knowledgeable staff is here to help you with any questions you may have about CAT rental store equipment in Massachusetts or any of our other pieces of rental equipment. MasterRents offers short term rentals at reasonable prices; please contact us at 978-762-RENT (7368) for more information. We look forward to serving all of your rental needs.